Bumblebee starts with the war between the Autobots and the Decepticons on the planet of Cybertron. When the heroic Autobots are forced to flee the planet and regroup, leader Optimus Prime (voice of Peter Cullen) sends one of his most loyal soldiers, B-127 (voice of Dylan O'Brien), to Earth to guard it from the Deceptions, while awaiting the rest of the group. Upon his arrival, B-127 is attacked. With his voice box damaged, he has no choice but to go into hiding. Charlie Watson (Hailee Steinfeld), a teenager trying to find her place in the world, discovers and repairs the battle-scarred robot, who is now disguised as a Volkswagen Beetle. Charlie and "Bumblebee", as she calls him, quickly bond. 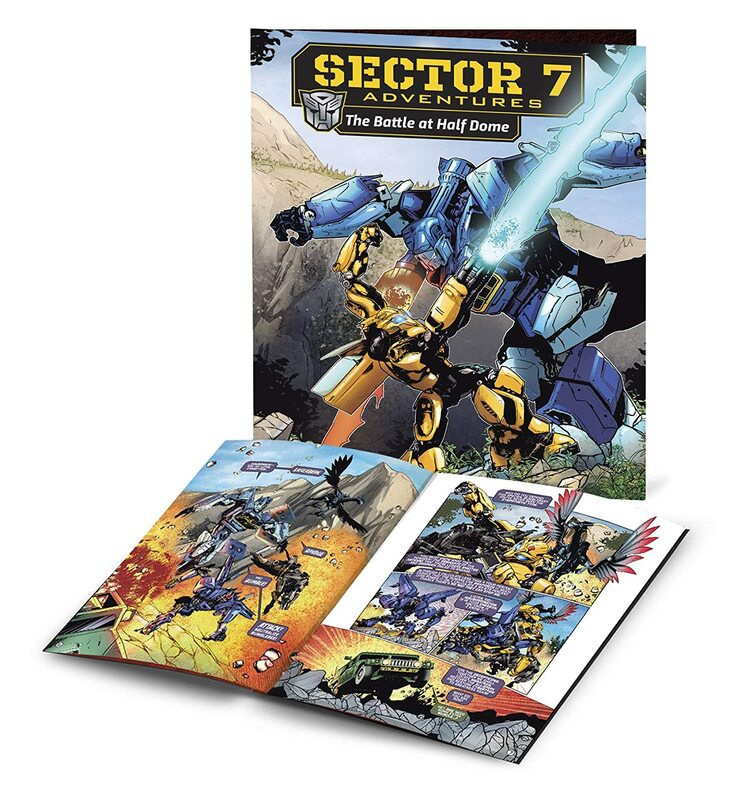 When the Decepticons, aided by Sector 7's Jack Burns (John Cena), are alerted to Bumblebee's whereabouts, Charlie finds herself in the middle of an alien war being fought on Earth. The film is set in 1987 and takes the Transformers back to their original 1980s Generation 1 (G1) designs. I've always hated the Michael Bay designs, which look nothing like the Transformers I grew up with, so I am grateful that those designs are jettisoned in favor of the true designs seen here. Bumblebee looks and sounds like a live-action version of the classic animated series. That's something I could never say about the previous five films in the franchise. Unfortunately, this film looks like it's meant to be a prequel to the Michael Bay films, instead of being it's own series of films...but there's always hope they'll change that. The film was clearly inspired by The Iron Giant, only here it's a young woman and her giant robot-car, instead of a little boy and his giant robot. By director Travis Knight, and writer Christina Hodson, chosing to keep the action localized to a small California town, the film retains some heart that it's bigger "brothers" in the franchise lack. That heart is best exemplified by Hailee Steinfeld's performance as Charlie, this film's version of Spike from the original animated series, or Sam Witwicky from the Bay films. By not filling the movie with wall-to-wall action, Knight and Hodson allow Charlie to have the kind of grown lacking in Shia Labouf's Sam Witwicky. In addition to Hailee Steinfeld, the movie stars wrestler-turned-actor John Cena, as square-jawed military man Agent Burns. While Cena may have dissed his movie career when he made his appearance at this past Monday's Wrestlemania 35, he has nothing to be ashamed of here. He plays the role perfectly. Also appearing in the film is Pamela Adlon as Charlie's mom, Sally. Animation voice fans will known her best as Bobby Hill in King of the Hill (1997) and as Spinelli in Recess (1997). I can sum up Bumblebee with one sentence: This is the live-action Transformers movie we've been waiting for! Here's a list of all of the bonus features that can be found on the disc. Agent Burns: Welcome to Sector 7 (0:50) - John Cena's character introduces new recruits to the agency. Presented in 4:3 like a videotape from the era. Sector 7 Adventures: The Battle at Half Dome (9:19) - The expanded motion comic version of the physical comic included with first pressings of the Blu-ray and 4K. Deleted and Extended Scenes (19:05 total) - The scenes included are "Original Opening", "Drive to Karate Class", "Birthday Present", "Car Wash and Beetle Breakdown", "Charlie Drops Off Mona and Conan", "Decepticons Inspect the Armory", "Drive to Cliff", "Sector 7", and "Appliance War". These scenes include characters that were completely removed from the film, such as Charlie's friends and co-workers at Hot Dog on a Stick; and some funny remarks about Go-Bots from Memo while he and Charlie drive in Bumblebee. Outtakes (9:32 total) - John Cena riffs on lines in the scenes "Burns Meets Bee", "War Room", "There's A Door in My Way", "Charlie in Trash", and "Saved the World". Hailee Steinfeld is in the Trash scene, not Cena. Bee Vision: The Transformers Robots of Cybertron (3:56) - Identifies the Transformers in the opening Cybertron war scene. The Story of Bumblebee (3:54) - The cast and crew discuss rebooting the franchise by focusing on Bumblebee. The Stars Align (7:04) - A look at the casting of Hailee Steinfeld and John Cena and their roles in the film. Bumblebee Goes Back to G1 (10:02) - Going back to the Transformers 1980s character designs while also utilizing some of the designs from the Michael Bay films. Back to the Beetle (6:20) - Discussion of Bumblebee's Volkswagen Beetle car form. California Cruisin' Down Memory Lane (19:57) - A focus on the 1980s production design. Also included in the Blu-ray + DVD Combo Pack is a second DVD disc, which contains only the movie (no bonus features at all). The movie on the DVD is presented in its original 1.85:1 aspect ratio with an anamorphic widescreen transfer. On the audio side, there are 5.1 Dolby Digital audio tracks for English, English Descriptive, Spanish, and French. The film includes English SDH, Spanish, and French subtitles. A digital copy code voucher is also included in the standard two-disc Blu-ray case. Shrink-wrapped to back of Blu-ray case, inside of the slipsleeve, is a physical glossy comic book entitled Sector 7 Adventures: The Battle at Half Dome. The physical comic is the first 6:57 of the on-disc motion comic in printed form, with a few word changes and with some parts that were omitted from the motion comic. The remaining 2:22 of the motion comic is new and is the portion alluded to at the end of the physic comic when it states, "This Sector 7 adventure continues in an exclusive motion comic on the Bumblebee Blu-ray and 4K Ultra HD." The physical comic book is only available with the Blu-ray and 4K UHD releases for a limited time only. Bumblebee is available on Blu-Ray + DVD Combo Pack, 4K UHD Combo Pack, and DVD. The previous films in the Transformers live-action motion picture franchise are available in one five-movie set on Blu-Ray, 4K UHD, and DVD. All images were taken from the IMDB gallery of the film. The item was provided by Paramount for review on this site.